Rotaract is a Rotary-sponsored service club for young men and women ages 18 to 30. Rotaract clubs are either community or university based, and they are sponsored by a local Rotary club. This makes them true “partners in service” and key members of the family of Rotary. As one of Rotary’s most significant and fastest-growing service programs, with a membership of over 200,000 and over 8,700 clubs in about 180 countries and geographical areas, Rotaract has become a worldwide phenomenon. 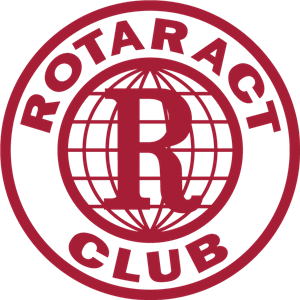 Rotaract clubs hold regular meetings, which feature speakers, discussions and visits to other clubs. Rotaractors also get together for service projects, social activities and leadership workshops. Clubs carry out at least one community service project and one international project each year, such as mentoring and tutoring children, organizing activities for people with disabilities, raising funds for medical equipment and disaster relief or creating awareness of AIDS, drug abuse and other issues. Rotaract clubs also help build the leaders of tomorrow by organizing seminars, workshops and training sessions for their members on career choices, marketing and management, business ethics, technology, and other topics.